Boarding your dog can now be an enjoyable experience for both the owner and dog! At Clippity Do Dog Grooming, your dog will have a stress-free stay, and be out of the cage to run and play free with other dogs all day long. Your pets only go into the run when the last groomer leaves for the day. You will feel better about leaving your dog for an extended period of time knowing he or she has access to a yard, toys, fresh air and the option to play with other furry friends. 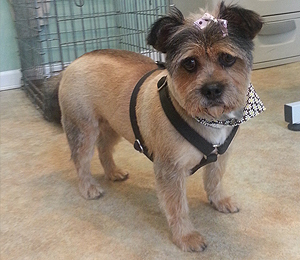 Trust your dog to a locally owned team of trained groomers and lovers. We have been serving the Wabash valley and our furry friends since 2001. With our team, all dogs and owners are treated like family.